Ajith Aravind is a Freelance photographer & Author specializes in People Photography. His works appear frequently in Mathrubhumi Yatra magazine and he runs an online Photography training in “Yatra Magazine” as ‘Photo Classroom’ . Ajith specializes in portrait, family and children photography and he has done numerous portfolios for aspiring actors and actresses. 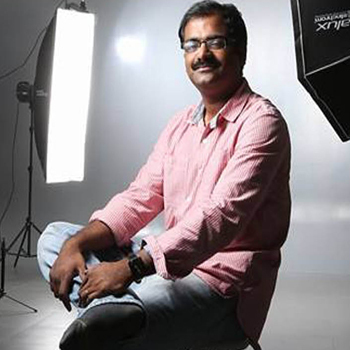 He also conducts advanced lighting and Photoshop workshops across India. He recently wrote first complete book about Digital Photography for starters in Regional Language Malayalam, “How to become a better digital photographer”.sold-out more than 10000 copies and third edition in printing.